We sell both new (once shipped) and used non-working refrigerated and insulated containers. 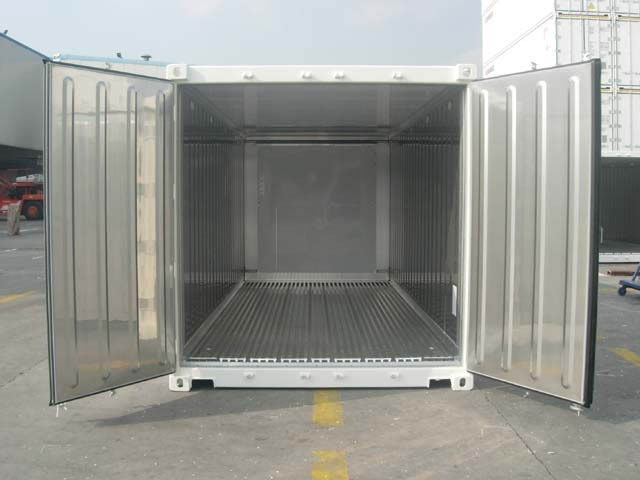 Refrigerated & Insulated shipping containers have a stainless steel lining inside them (pictured) which can be particularly useful for specialised applications. The most common uses for insulated containers include: food storage, perishable goods storage, environmental testing, domestic & commercial storage.